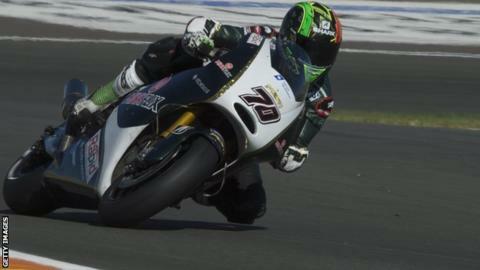 Michael Laverty failed to finish in the points for the third MotoGP round in a row when he ended 18th in Argentina. The PBM rider from Toomebridge had taken 16th places at both the opening round in Qatar and the subsequent Grand Prix of the Americas in Austin. Marc Marquez won in Argentina to become the first man to win the first three races of the season from pole position since Giacomo Agostini in 1971. His Honda team-mate Dani Pedrosa was second, with Jorge Lorenzo third. Valentino Rossi claimed fourth position in the 25-lap race, which marked the return of the premier class of motorcycling to Argentina for the first time since 1999. Ducati rider Cal Crutchlow was absent because of injuries he sustained at the last round at Austin.